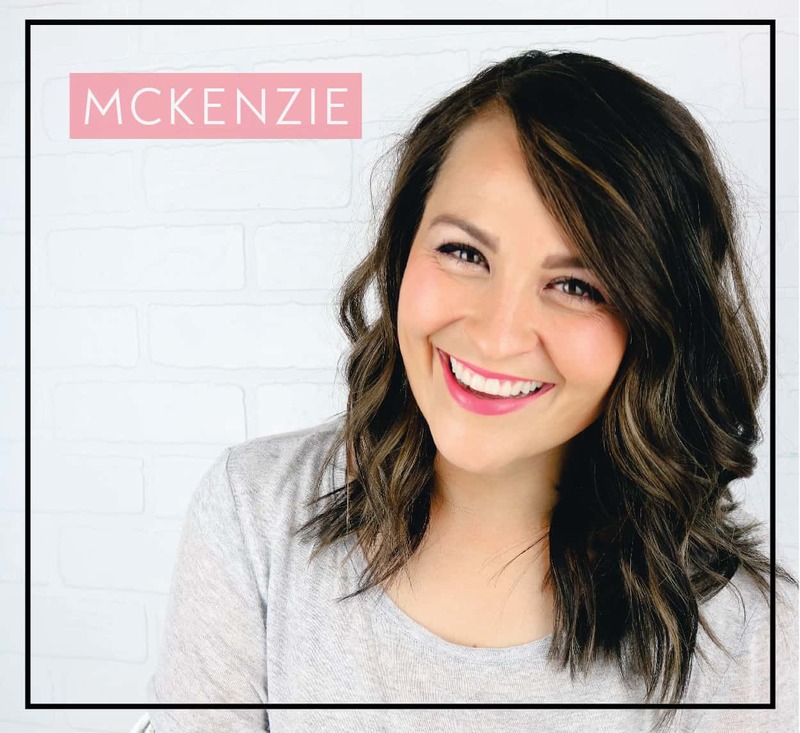 Favorite Things Giveaway! $230 Value! >>>>>>>Enter to win MY gift RIGHT HERE! My giveaway is valued at $230! I am OBSESSED with Baggallini products. I first fell in love with them when I took my Baggallini Avenue tote to NYC last year. This bag is PERFECT for travel. It has a slot to slide over your suitcase handle so you don’t have to worry about carrying it and there is literally a spot for everything! This bag alone is valued at $98! I love the red color and decided to throw that one in for the giveaway. I own the gray (pictured above) and I am obsessed with it too! Because I love Baggallini and all of you so much, I am also including this incredible Baggallini RFID wallet! This is valued at $65. It is amazing! It is a high tech wallet that keeps your things safe inside. There is a RFID-blocking liner that can stop identity thieves from scanning your ID and cards when they are in close proximity. It is a little sickening to think that they can even do that, but I love knowing that my security is safe with this wallet. Also pictured above and included in this giveaway is mascara, hand lotion, and Sole Serum. I always keep a variety of these types of things in my purse and love having them handy when I need some mascara after a long day of errands, need some moisture on my hands, or if my feet get sore from walking around all day. I also am a crazy note taker and always like to keep a notebook handy. I am including a nice Moleskin notebook as well! These four items combined are valued at $45! The last few items that I just love and had to include in the giveaway are some great facial moisturizer because I live in basically the desert and always need moisture on my face. Carmex lip balm because like I mentioned, I always have to moisturize in this dry climate. I also am including finishing powder that is perfect to put on after your makeup is done. It sets your makeup, minimizes fine lines and pores, and is just amazing stuff! And lastly, I am including a notebook to make to-do lists because heaven knows, I own about 12 of these and I use them ALL! The items combined value at $22! 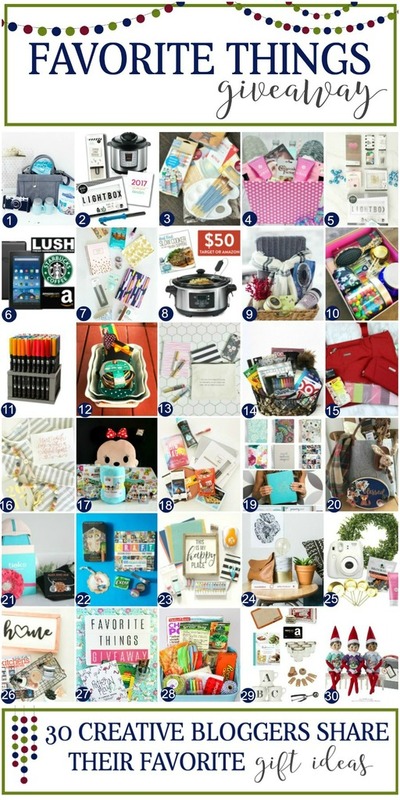 If you are keeping count, that values this entire giveaway of my favorite things at a whopping $230! I can’t wait to give all of these goodies to one of you. Be sure to enter my giveaway and all of these other giveaways to discover some of our favorite things! Ooooooh, I’d love to win the amazing Baggallini products! I’ve heard great feedback about their products. Bujo fun -blank journals open for awesome creativity! Oh! Thank you for letting me know! I changed it. I love all of these amazing products! Some of them I already use and others it’s great to have a professional and honest opinion to help me cut to the chase!!! Oh, wow! I would love to win your wonderful giveaway! Just what I have been looking for! Red’s my favorite. And and want to travel. Thanks for sharing! Love this giveaway, awesome items. Thank you! I love the red bag but the wallet is a need. I have had my identity stolen twice. What a fun set ! 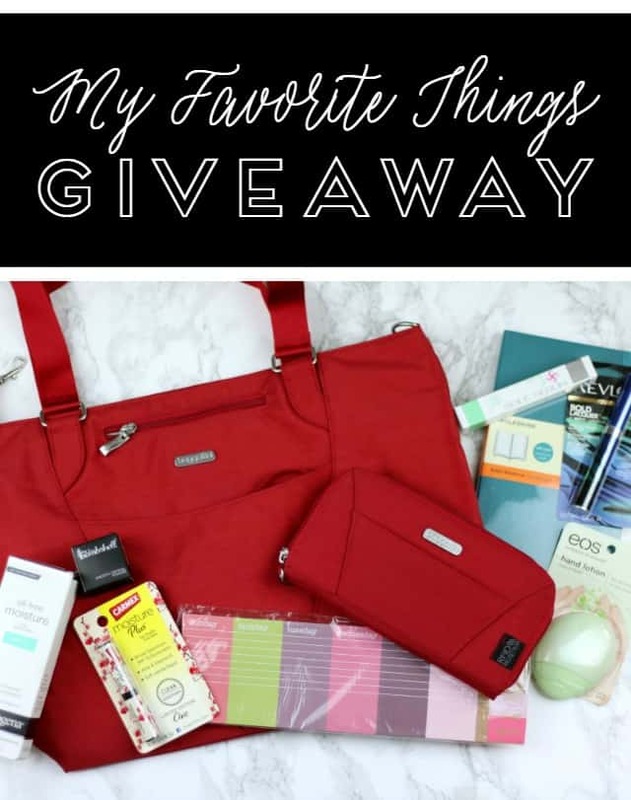 Everything about this giveaway looks amazing would love to win. Good luck to all that enter. I love all of your giveaway! RED is my favorite color!!! Could use all of these beautiful gifts. I can honestly say I never heard of the baggallini product but would love to try it … Great gift give away !!! This tote is amazing! My favorite thing is to travel so this would be perfect! this is awesome! I love your giveaway! thank you for the chance to win! 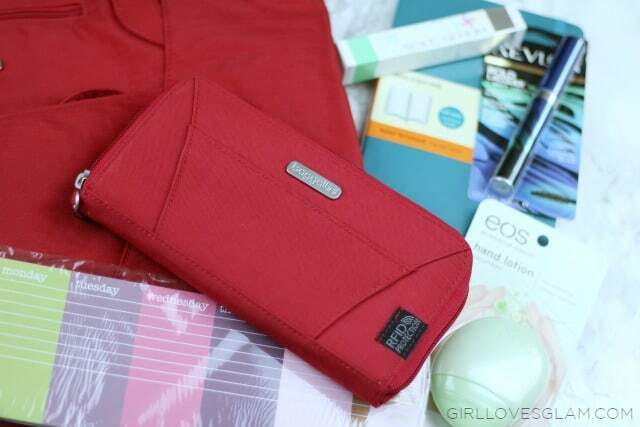 I am in love with the red Baggalini bag and wallet! The other gifts are amazing as well! Thank you for being part of the giveaway hop. I am so glad I found you. Love the posts and look forward to reading more. Have always wished for one of these bags. Would be so great to travel with. Found you t blog through Abby at Just a girl and her blog. Love your ideas! FUN FUN FUN! So glad I found your blog! Thanks for sharing!